January 9, 2019 -- SAN FRANCISCO - A California start-up is developing an ultrasound-based device that it hopes could become a low-cost way to test patients for stroke, much in the same way electrocardiograms (ECGs) assess heart-attack patients. Executives with BURL Concepts presented the idea at this week's Digital Medicine & Medtech (DigiMed) Showcase. ECGs are a simple and low-cost tool for measuring electrical activity in the heart, and abnormal ECG activity can provide a quick alert to caregivers that a patient is experiencing a cardiac emergency. 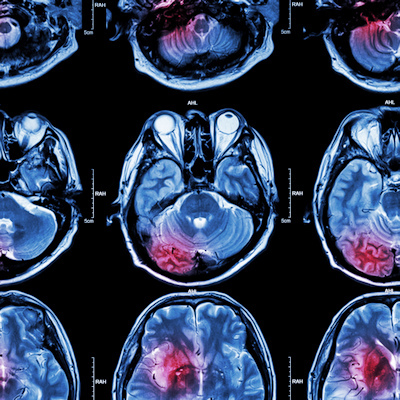 But no such technology exists for stroke, despite the condition's massive cost to society, according to Dr. Thilo Hölscher, CEO and chief medical officer of BURL Concepts in San Diego. For each minute that blood flow to the brain is blocked during an ischemic stroke, some 2 million brain cells can die, Hölscher noted. Therefore, early detection and assessment are key, as they can help guide the therapeutic pathway, such as whether a patient should be sent via ambulance to a local hospital and be treated with clot-busting drugs such as tissue plasminogen activator (tPA), or whether the patient needs to be sent to a comprehensive stroke center for mechanical thrombectomy. Some healthcare providers have begun experimenting by mounting mobile CT scanners in ambulances, but this solution can be expensive, costing as much as $3 million to $4 million per unit. What if a cheaper, more portable technology were available? That's the market need that BURL is targeting. The company's primary product is a scanner called SONAS, which stands for "stroke or not a stroke," and like an ECG of the brain it is designed to help healthcare providers quickly determine whether or not an individual is having a stroke. SONAS consists of a battery-powered device that generates sound waves; these sound waves are transmitted through the patient's brain via a pair of "headphones" after intravenous administration of an ultrasound microbubble-based contrast agent. With the SONAS device, patients wear "headphones" that transmit sound waves to analyze harmonic signals from ultrasound contrast in the brain to detect stroke. Image courtesy of BURL. 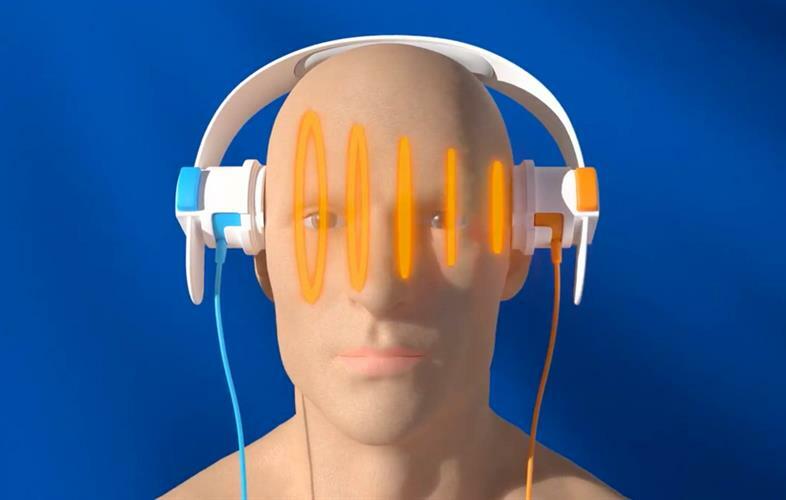 The headphones transmit and receive ultrasound signals that pass through the brain, and signals can be assessed ipsilaterally (from the same hemisphere) or contralaterally (from opposite hemispheres). 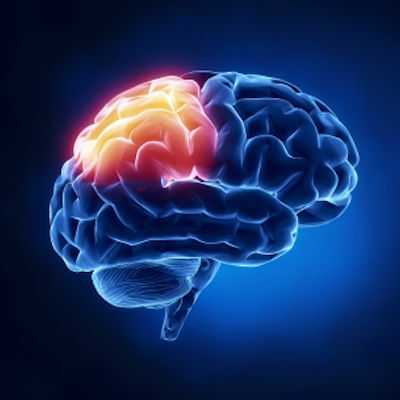 BURL has developed proprietary algorithms for analyzing the signals and the extent to which they demonstrate perfusion in the brain. Like an ECG, the output of SONAS is not an image, but rather a line graph that shows time-to-peak curves for the contrast agent that represent brain perfusion through both hemispheres of the brain. The company currently is correlating these charts with other measures of brain activity, such as perfusion-weighted MRI. BURL is also performing safety testing of SONAS, in particular to demonstrate that the sound waves do not damage the blood-brain barrier (the scanner operates at far less acoustic power output than a conventional ultrasound scanner). 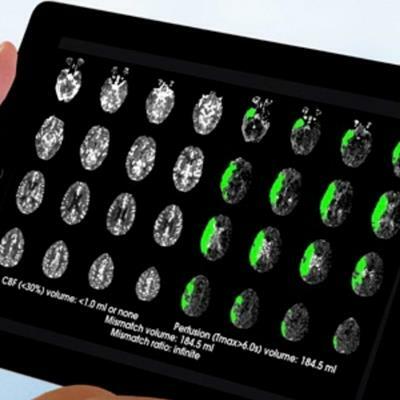 In the first quarter of 2019, the company expects to perform proof-of-concept testing to show that SONAS is, indeed, capable of detecting large-vessel occlusion, a telltale sign of stroke. 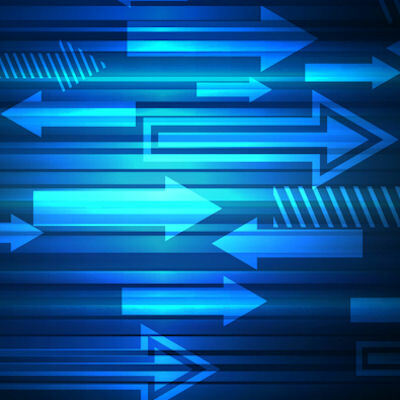 BURL is also preparing to submit an application for CE Mark approval in Europe, and it hopes to raise a series C round of funding -- hence its appearance at DigiMed, a side meeting to the J.P. Morgan Healthcare Conference. Hölscher expects that when SONAS ultimately reaches the market, a typical scanner will carry a list price in the low thousands of dollars.